Our PMaaS experts are completely dedicated to the projects at hand, which means projects can be completed up to 20% faster than if the client had taken on the initiatives themselves. Cannon Group, a business consulting and IT management firm, has just announced the launch of its Project Management as a Service (PMaaS) offering, supporting market demand for an ‘as-a-service’ approach to cutting costs and driving business efficiencies. PMaaS matches seasoned project management experts to customers’ specific requirements to deliver projects on-time and on-budget. Backed by a skilled technical staff, help-desk support, sourcing resources and access to analyst and consultative services, PMaaS delivers proven project management practices that support customers’ strategic objectives—and they do it with flexible pricing options that ease customers’ budgetary constraints. “Because customers’ internal resources often get pulled in different directions, it’s nearly impossible for them to maintain complete focus on any one project,” said Jay McHenry, director of service delivery, Cannon Group. “Our PMaaS experts are completely dedicated to the projects at hand, which means projects can be completed up to 20% faster than if the client had taken on the initiatives themselves,” he added. PMaaS is part of Cannon’s larger suite of value consulting services that integrates advanced IT strategies into customers’ business processes to improve productivity and opportunities for savings. Click here for details. 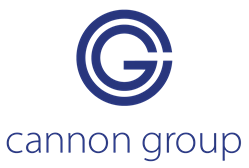 Headquartered in Blue Bell, PA, Cannon Group Enterprises, Inc. is a business consulting and IT management firm with over 20 years of transformational technology expertise. Through the strategic selection, integration and management of advanced technology solutions, Cannon Group helps customers lock in value to realize sustainable results through IT efficiency. Named a 2018 and 2019 Top Workplace by Philly.com, Cannon Group boasts an elite team of experts who advocate for their clients to improve productivity, cut costs and build for the future. For more information, visit http://www.cannongroupinc.com or call (610) 930-1000. Follow us on Facebook and LinkedIn.